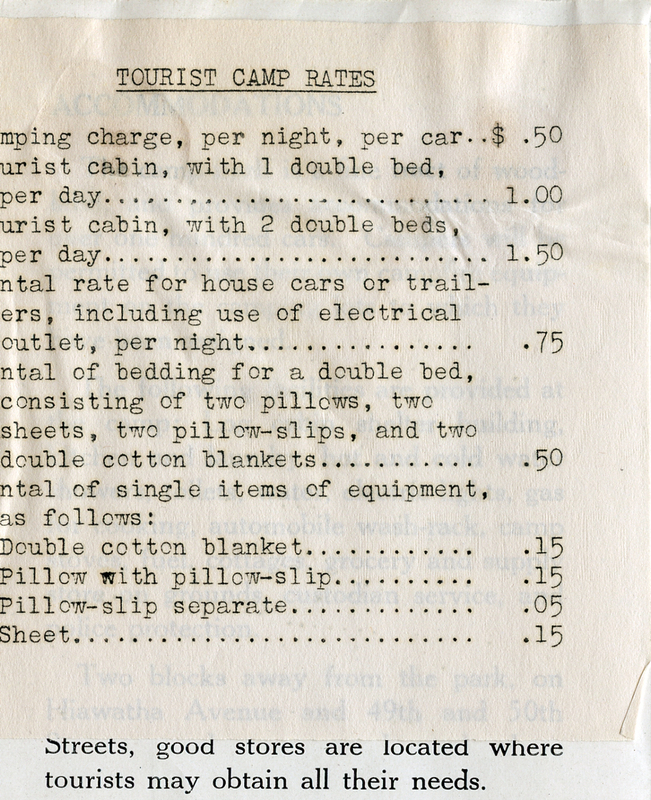 The fee schedule from a brochure that was published by the Park Board and handed out at the Gateway Welcome Center, which was torn down in the urban renewal of the 1960s. urbancreek.com archive. The fees list is pasted in here, because the original brochure was published in 1931, and this was distributed with this addition and some handwritten notes in 1939. It was the Great Depression: No doubt the Park Board had far more important expenses than keeping brochures freshly printed. 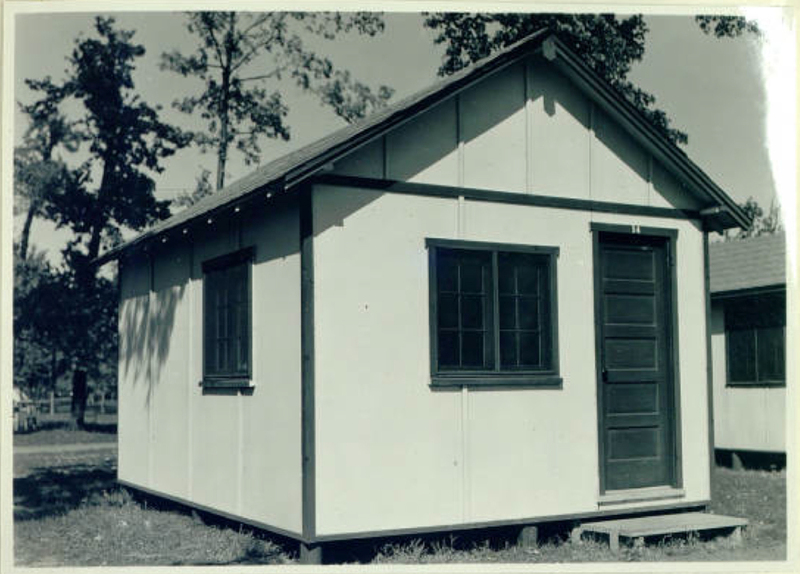 One of the newly built cabins that the WPA constructed in the Tourist Camp in 1936. The original caption read: “Tourist Cabin at the Municipal Tourist Camp. Ten new cabins were constructed by the W. P. A.” It was published in “The Story of W.P.A. and Other Federal Aid Projects in the Minneapolis Parks, Parkways and Playgrounds, for the Year 1936, Minneapolis, Minnesota.” Courtesy Minneapolis Park Board. The existing 25 cabins were painted and repaired by the W.P.A., who also built 10 new cabins. No research has been done at this writing on those 1931 (or 1939) shopping opportunities. But it is known that, a generation before, many people in the neighborhood had made a full time career out of extinguishing the businesses that existed on Hiawatha and 49th and 50th. One wonders what “good stores” meant.